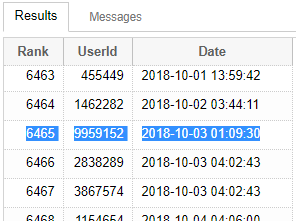 I have seen this in another user's profile, and now I'm interested to find my rank of when I received the java tag on SO. Is that possible to find this? If you're somewhere on that first page, it should be easy enough to identify your rank. 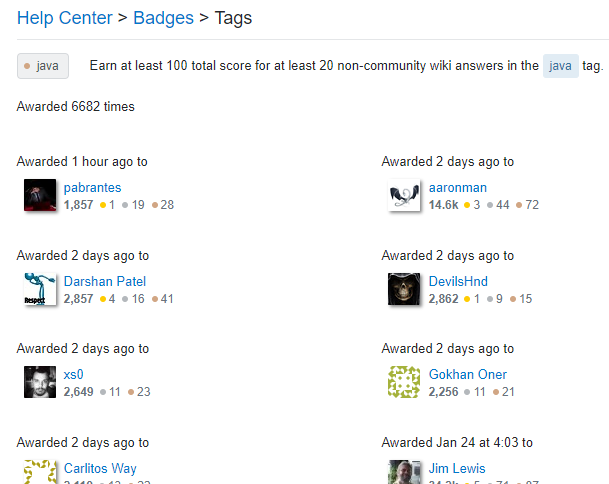 You were 6,465th to earn this badge. Note that, at the time of writing, only 6,668 badges have been logged on SEDE; it's short about 20 badges from the live site. SEDE may be a week behind as it's only updated once a week.